Nuno Espirito Santo could make just one change to Wolves’ starting line-up ahead of their FA Cup semi-final showdown with Watford at Wembley on Sunday afternoon. Jonny Castro started on the bench in the 2-1 win over Manchester United earlier this week, but he is likely to return to the left wing-back slot to replace Ruben Vinagre. 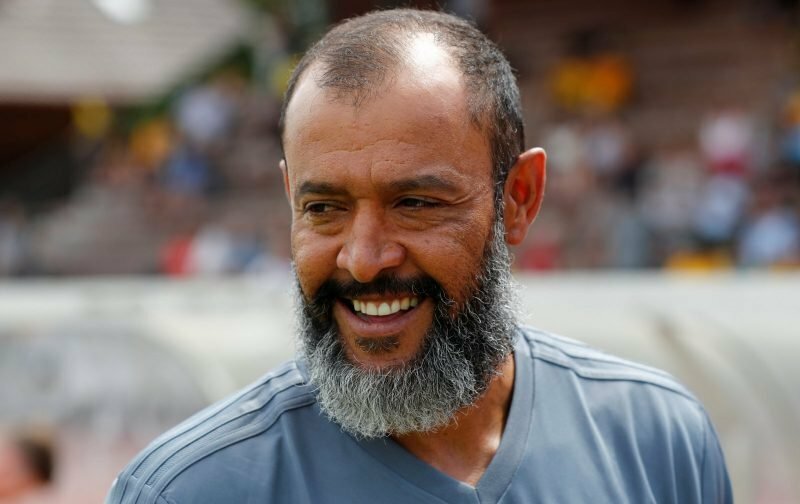 Nuno has settled on a pretty similar side all season and even though he has made certain changes for FA Cup fixtures earlier in the competition, he is more than likely going to go full strength against Watford in a bid to reach the final against Manchester City. Rui Patricio is predicted to make his first-ever FA Cup appearance, even though John Ruddy played in each of the earlier rounds of the competition. Ryan Bennett, Conor Coady and Willy Boly could be Nuno’s back-three against Watford, with Matt Doherty and Jonny lining up as wing-backs. Ruben Neves, Leander Dendoncker and Joao Moutinho are likely to be Wolves’ three central-midfielders against the Hornets, while Diogo Jota and Raul Jimenez are predicted to start up front. Wolves have not reached the final of the FA Cup since 1960. On that occasion, they beat Blackburn 3-0 to win the competition for the fourth time in their history. Watford have only played in one FA Cup final when they lost to Everton in 1984.